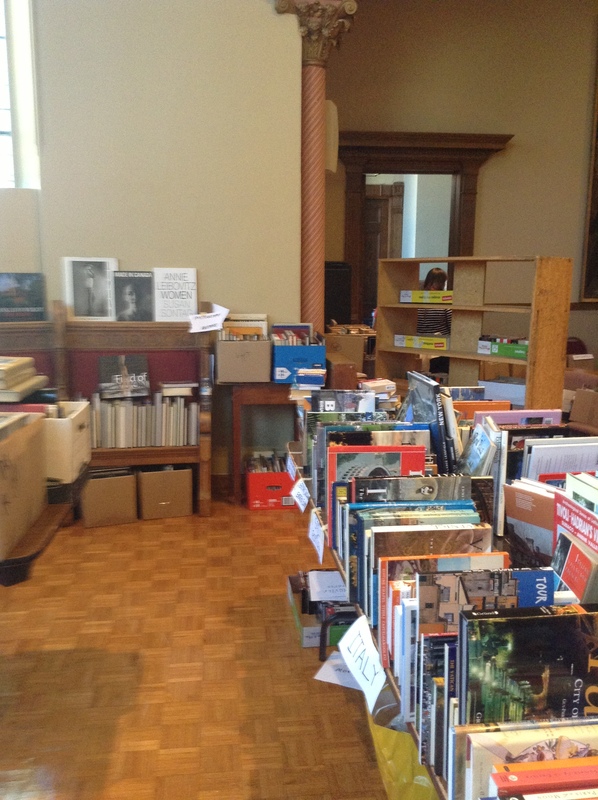 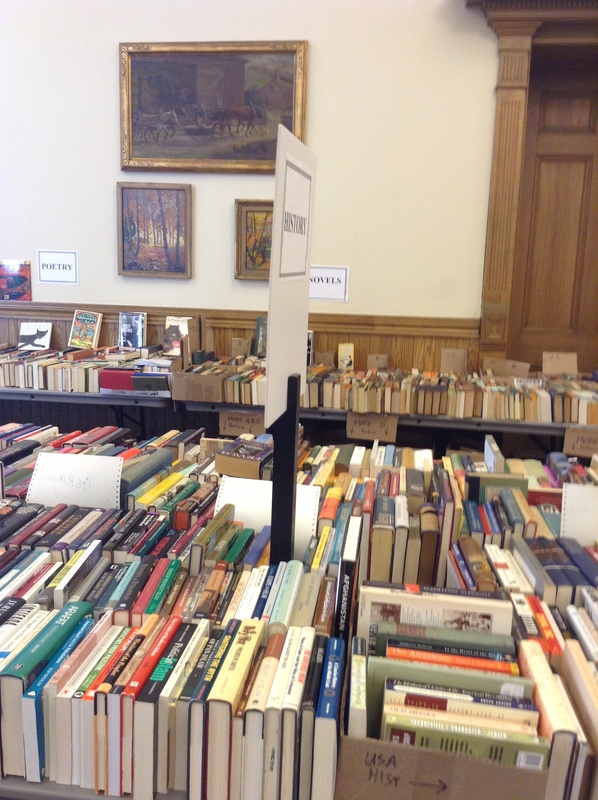 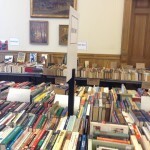 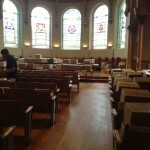 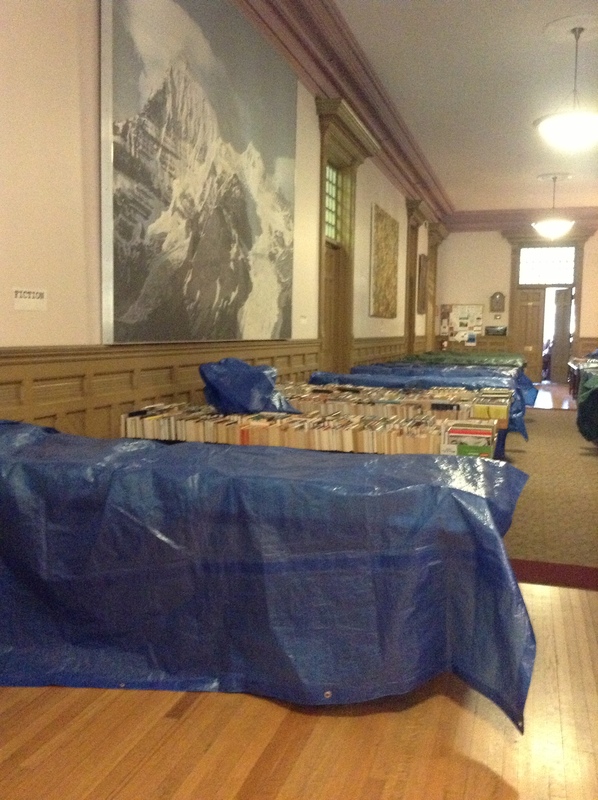 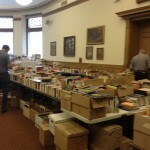 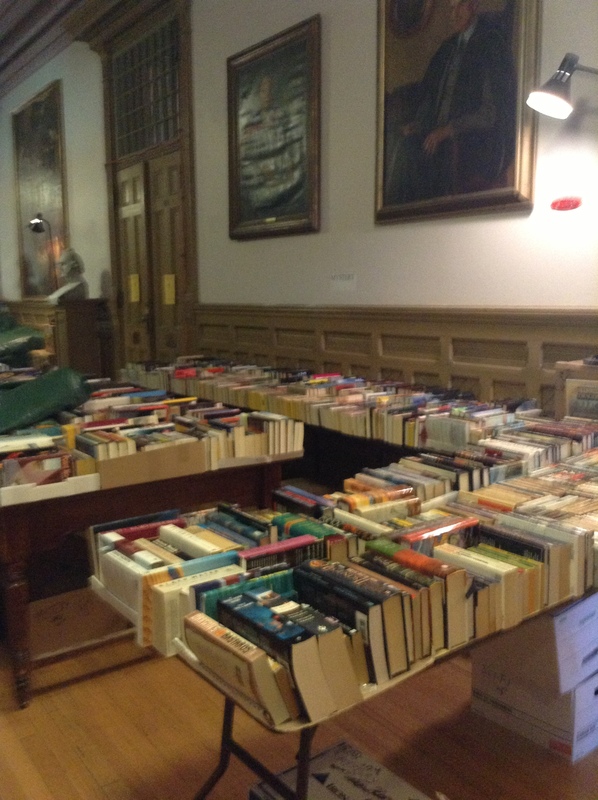 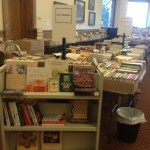 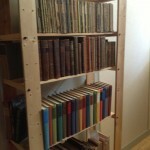 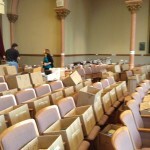 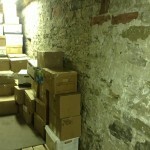 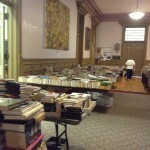 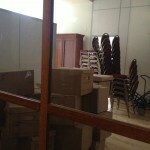 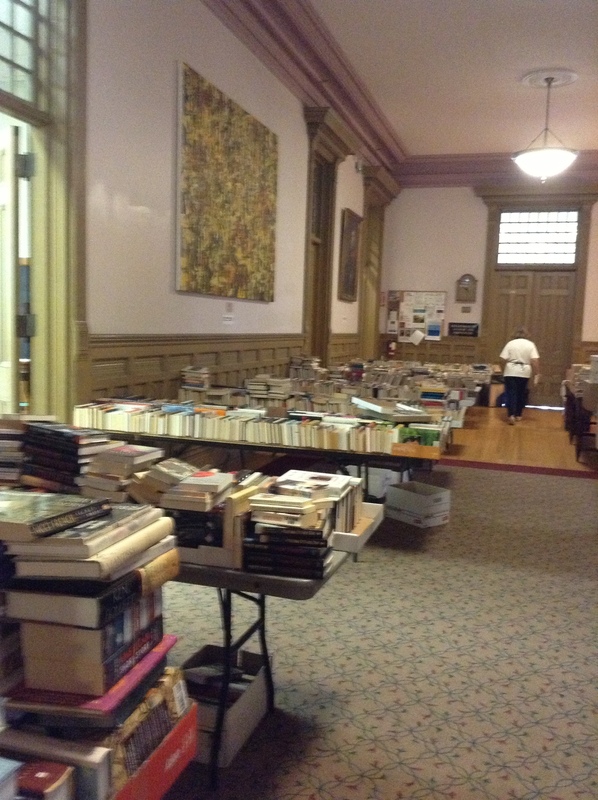 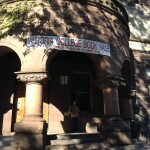 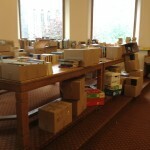 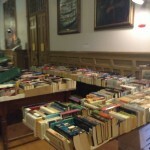 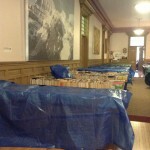 The first day of the Booksale has finally arrived! 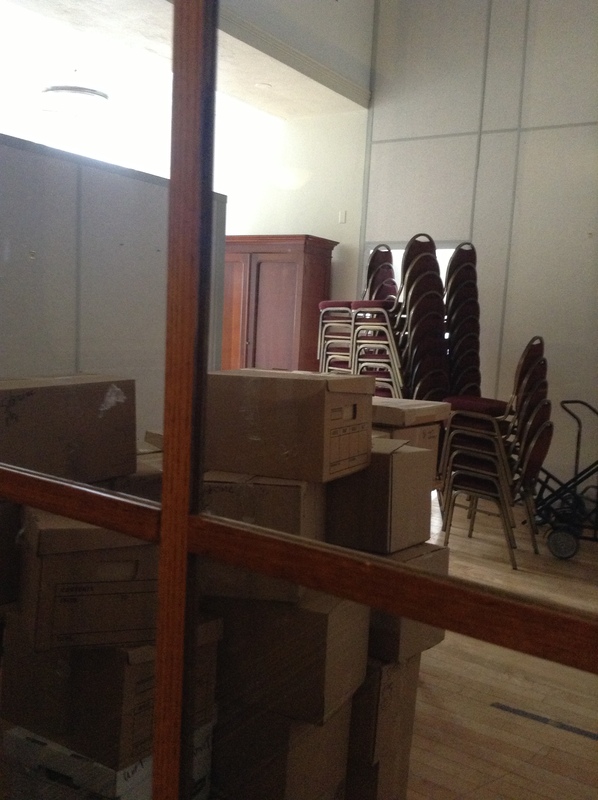 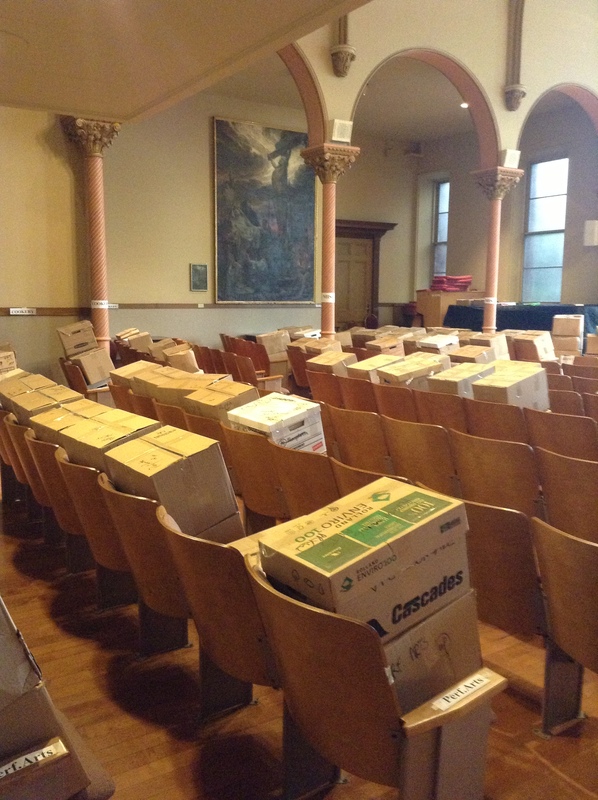 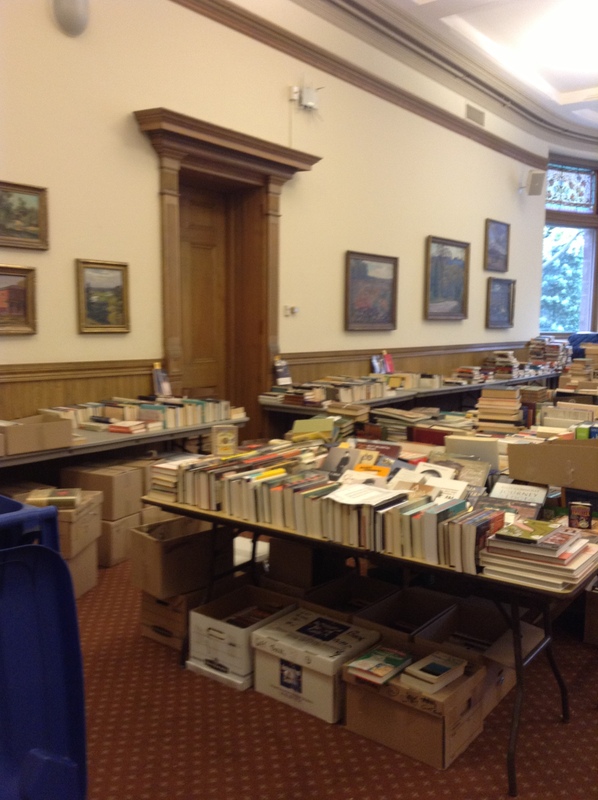 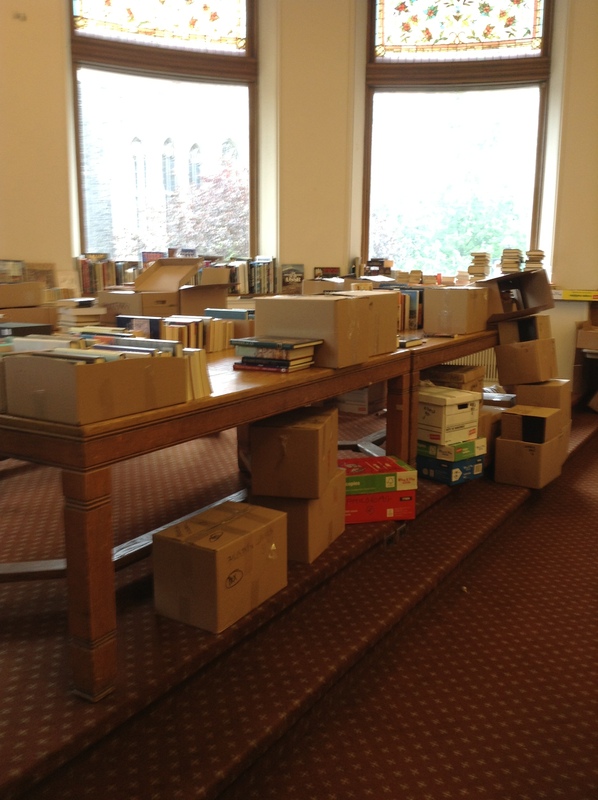 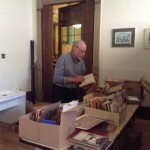 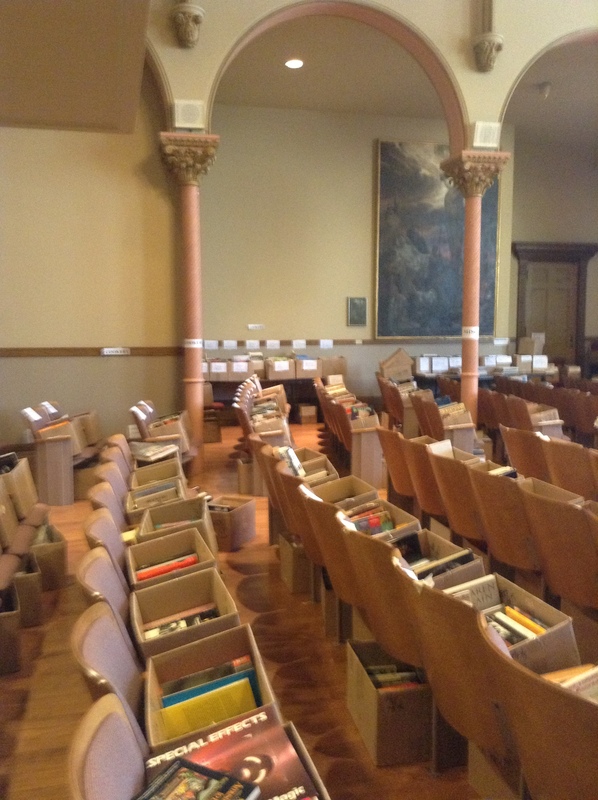 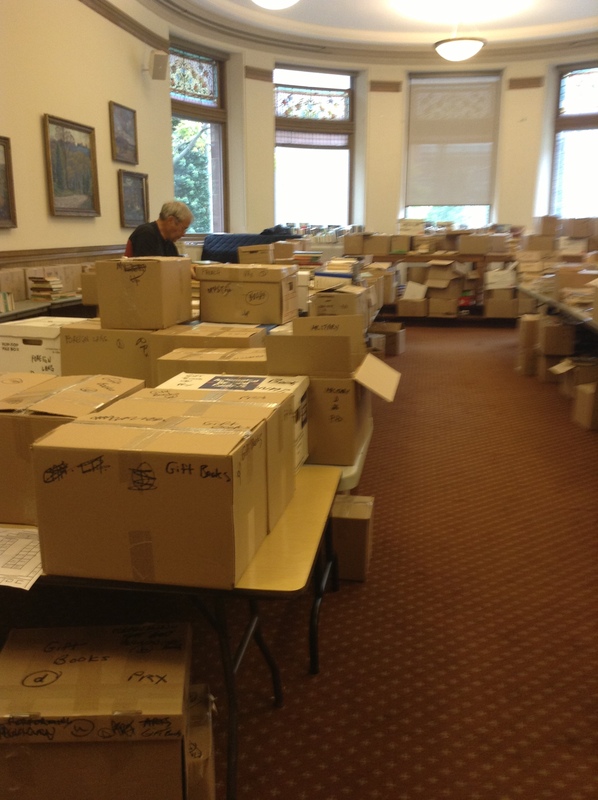 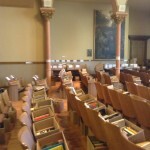 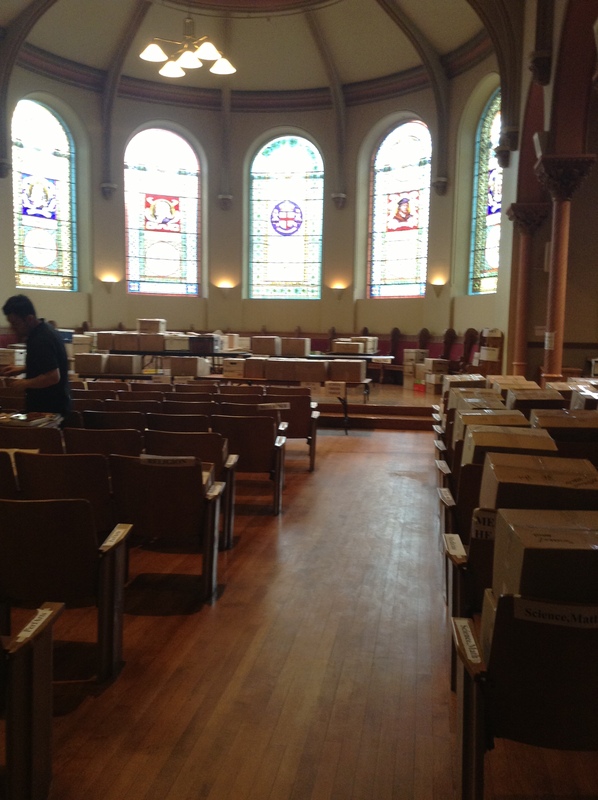 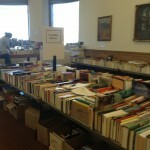 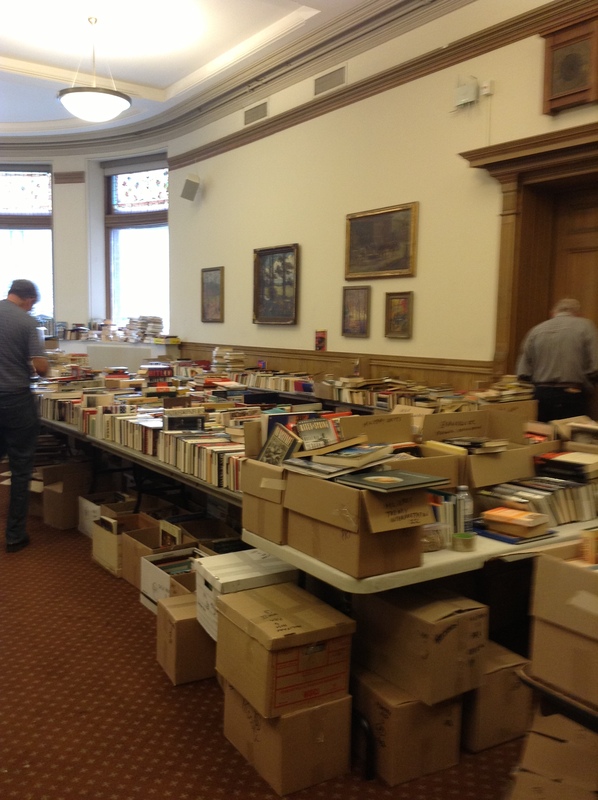 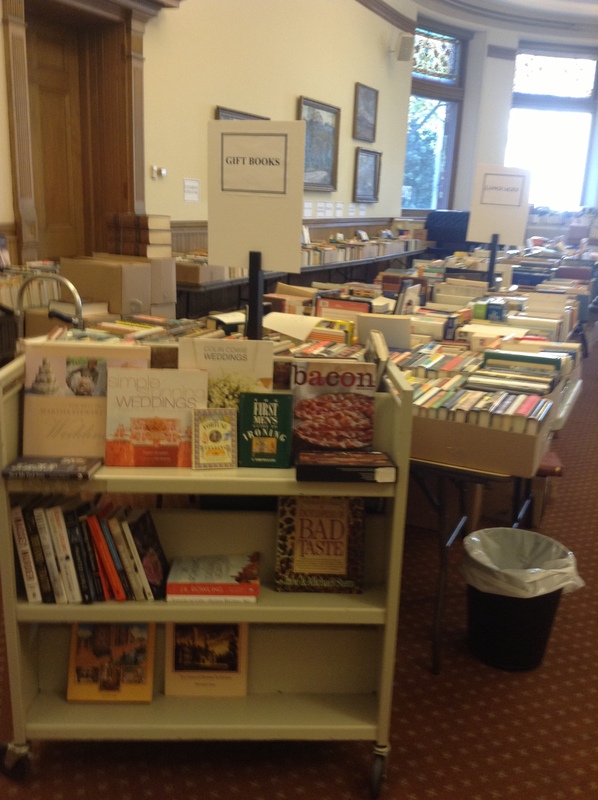 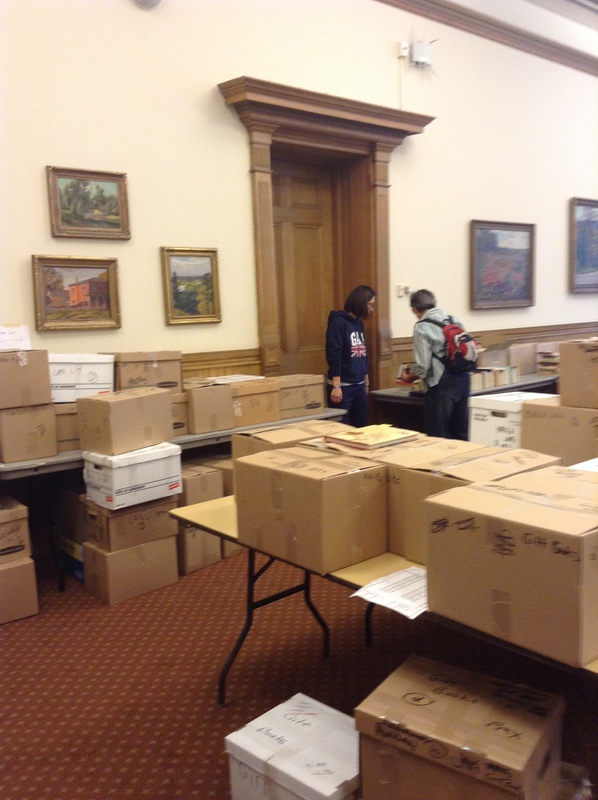 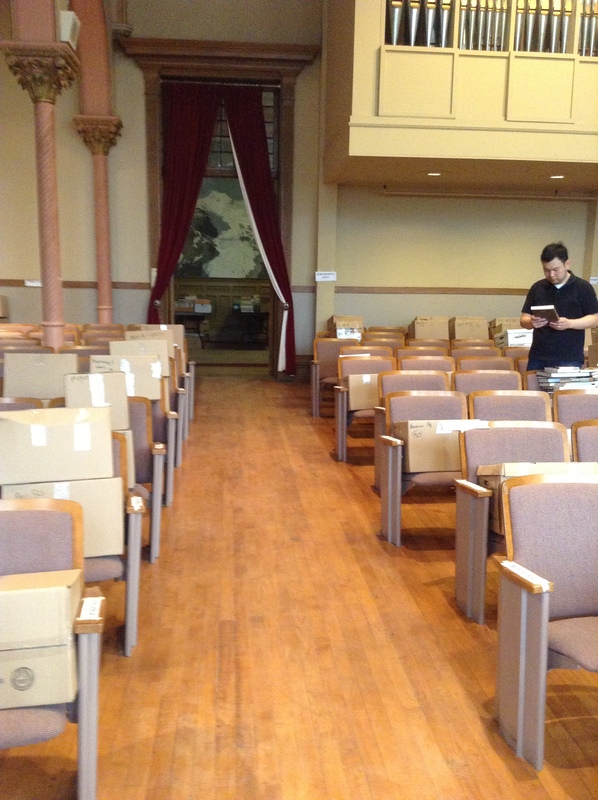 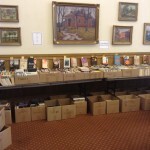 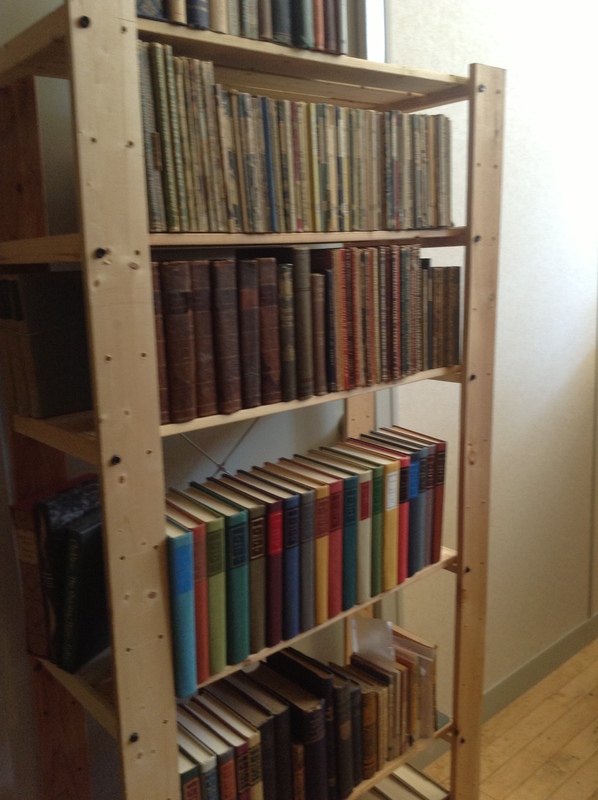 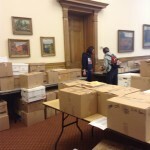 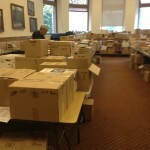 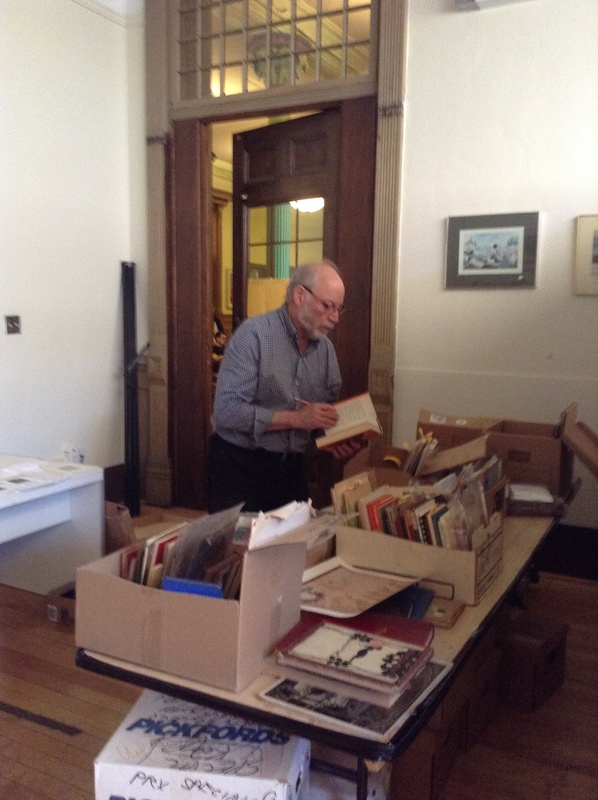 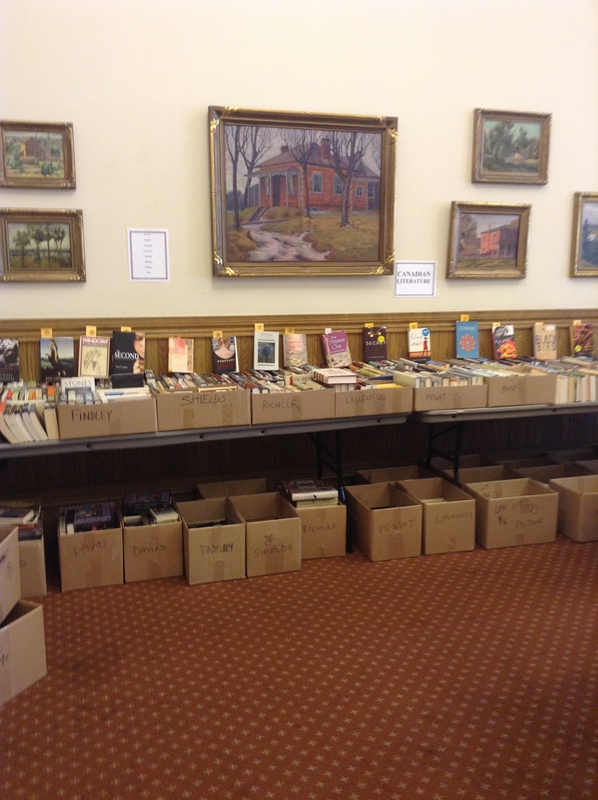 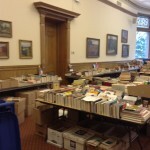 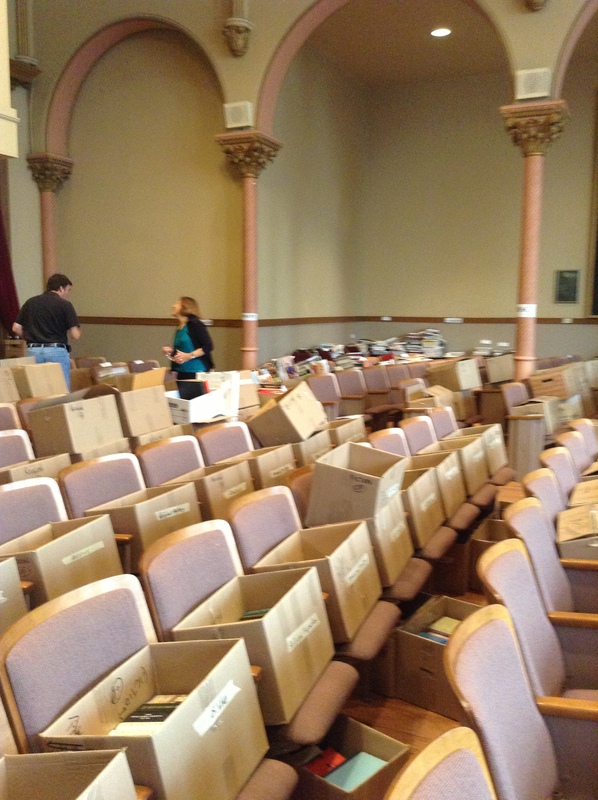 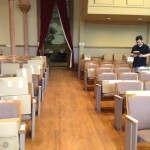 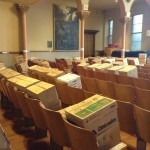 Our volunteers have been very busy over the past week moving books, organizing books, sorting books – setting everything up so that the sale runs smoothly and effectively. 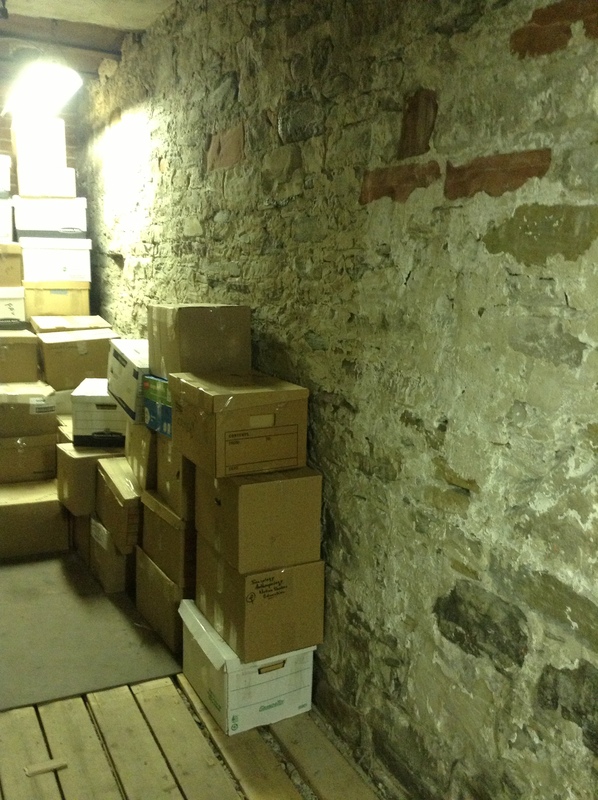 We have compiled a gallery of photos which shows the transformation of Old Vic into an exciting treasure trove! 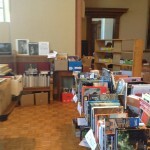 Remember that the grand opening is at 4pm today, September 18th, and continues until 9pm tonight. 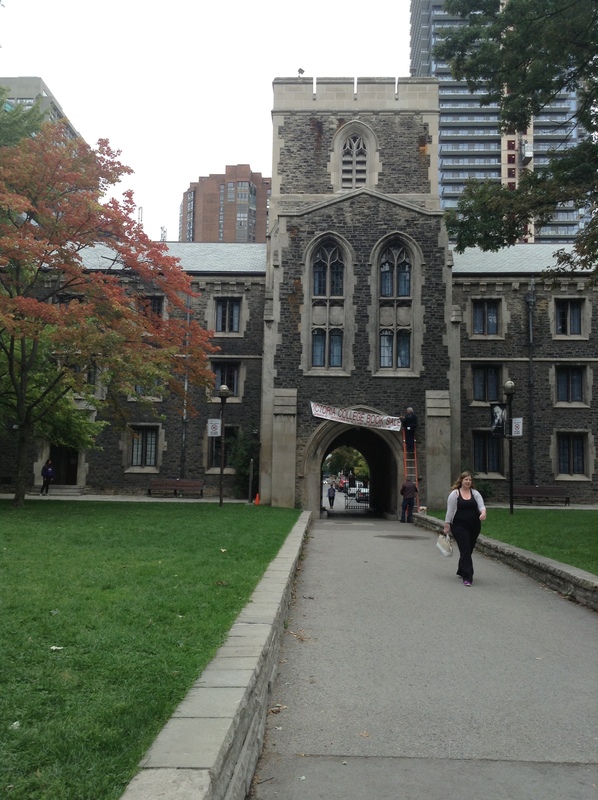 Admission is $3 for the general public, however students with their Student ID are admitted for free. 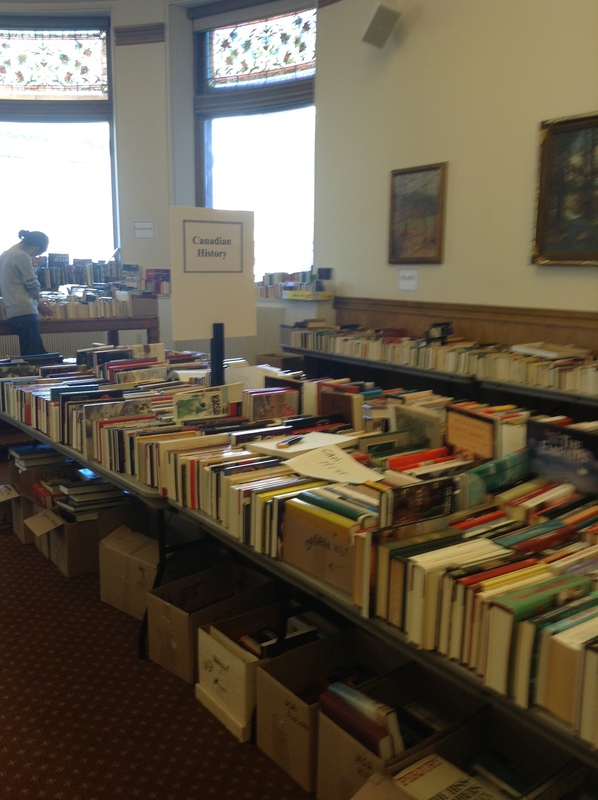 The first night is the most exhilarating day of the sale, and the time to find all of those hidden gems before anyone else has the chance! 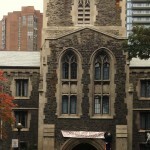 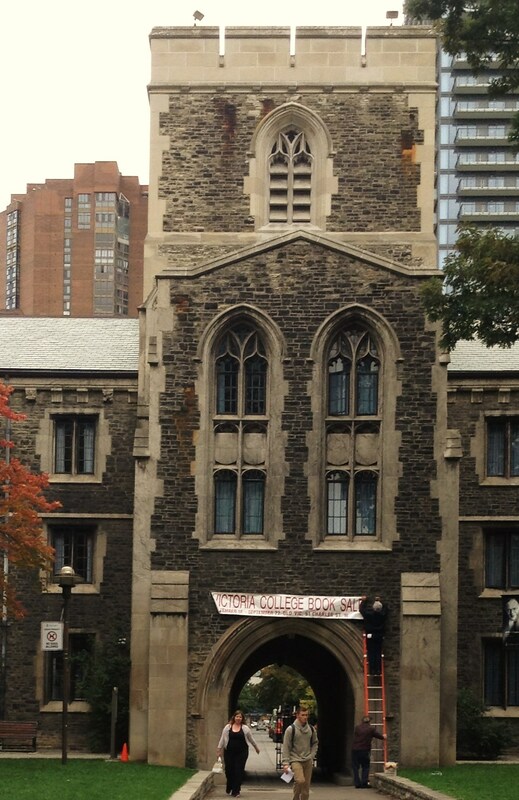 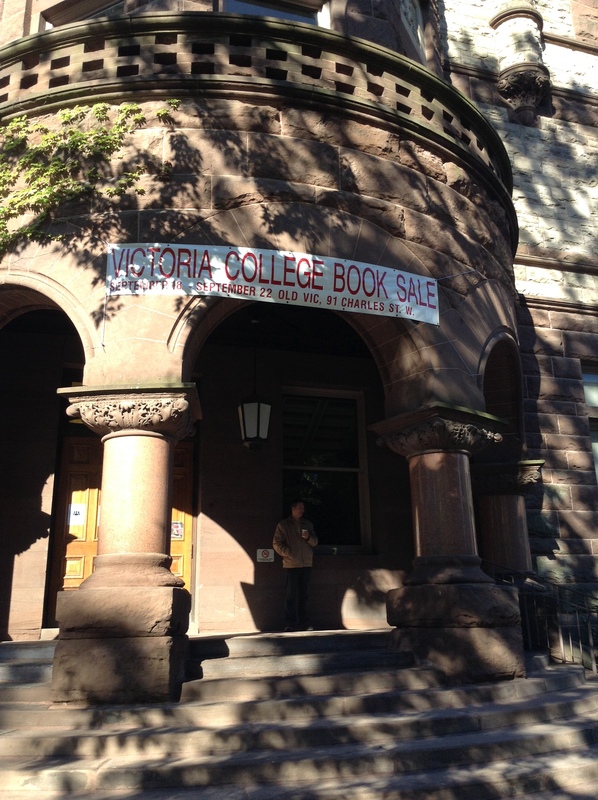 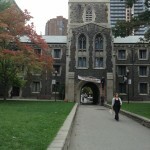 Come support the Victoria University Library – see you at the Booksale!